Hong Kong FinTech Week is the world first cross-border FinTech event. It’s one of the largest conferences on the calendar, attracting more than 5,000 senior executives and featuring over 100 of the world’s top FinTech founders, investors, regulators, and academics, who are shaping the future of financial services by driving a technological revolution in the industry across Asia and globally. 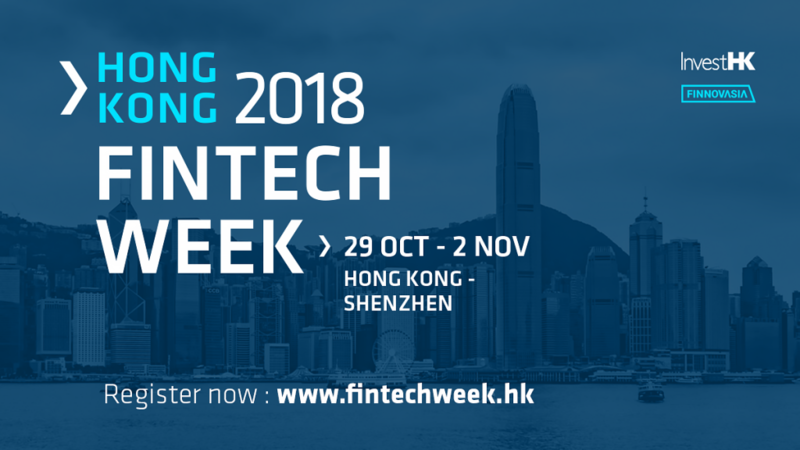 Another milestone in Hong Kong’s journey to become a global FinTech hub – the last Hong Kong FinTech Week which ended on October 2017 has set the city to be a FinTech leader in Asia, and one that welcomes companies and entrepreneurs looking to expand and scale their business in the region. The FinTech Week drew more than 4,000 attendees from over 50 countries and more than 300 speakers. Alongside the packed events in multi-tracks, more than 150 one-on-one meetings took place involving entrepreneurs, regulators, incubators, venture capitalists and service providers. The success of the last FinTech Week leads to the expanding scale in 2018. Join us! Save the Date from 29 OCT to 2 NOV 2018 for the cross-border Week between Hong Kong and Shenzhen! Experience yourself in this vibrant and energetic Hong Kong FinTech scene!